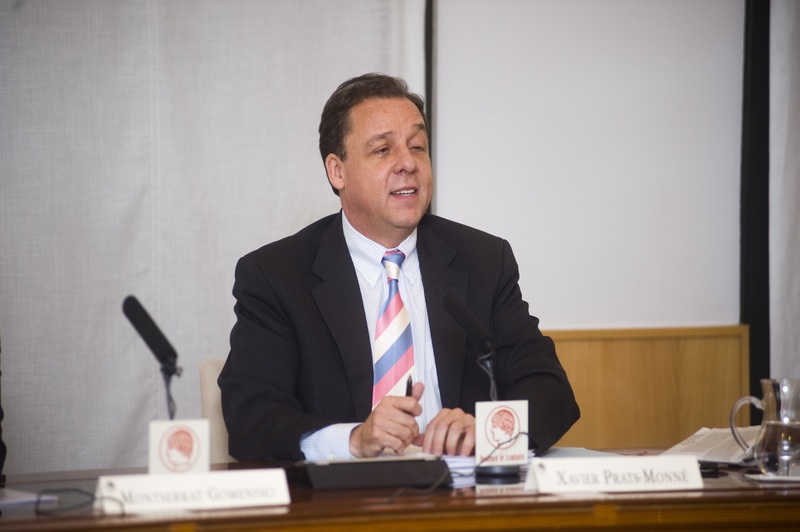 Mr Xavier Prats Monné is the new Director-General of the Directorate-General for Education and Culture (DG EAC) at the European Commission. It is a pleasure and an honour for EOSE that he agreed to be the first to take part to our series of exclusive interviews. While sharing his thoughts on Education, Training and Employment he offered us a priceless perspective on European current and upcoming challenges and opportunities. 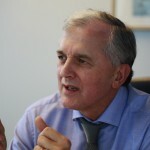 You were, in the past three years, DG EAC’s Deputy Director-General responsible for EU policies and programmes in the field of education and training. Furthermore, from mid-2007 till the end-2010, you served as the EC Director for employment policy, Europe 2020 Strategy and international relations in the field of employment. What are the main barriers you see between Education and Training on one hand and Employment on the other hand? Which pathways would you like to open to connect or reconnect these two spheres and tap into the skills mismatch? XPM: “The world is changing fast, and our economies and education systems have a hard time keeping up with this change. We, therefore, have to make sure that we prepare our young people for the world of tomorrow, in particular by having a better understanding of the skills young people will need in the labour market. This said, the purpose of education is not only employment. Both education and training also provide people with the skills and knowledge they need to fully participate in social, economic and political life. Indeed, barriers between education and training, and employment remain. In some countries, it is particularly difficult for graduates to enter the labour market. About 5.5 million young people are currently unemployed in Europe, with youth unemployment rates topping in Croatia, Greece and Spain. At the same time, we have 2 million unfilled jobs in the EU, especially in the health, sciences and information technology sector. This development is worrisome because it points to a severe skills mismatch. In fact, a growing share of jobs requires high skilled people; low skilled individuals will have more and more difficulties in finding a job – this is a challenge for education systems too. According to you, what are the main challenges ahead in the field of Education and Training? XPM: ”It is not only the banking sector, music or communications but also the world of education and training which starts feeling the impact of changes in demography, technological development, and globalisation more generally. First of all, we face a change in the demand for learning outcomes. Instead of a mere accumulation of knowledge, an increased number of jobs requires individuals with both strong expertise and strong transversal skills, and a capacity to constantly upgrade their knowledge. Simultaneously, we experience a change in the supply of education. This change is mainly due to new technologies, enabling us to take advantage of both the benefits of digital learning, and a series of new pedagogies. Last but not least, we face a change in the distribution of skills and competences around the world, with emerging economies such as the BRICS showing a significant increase in education investments, in particular in Science, Technology, Engineering, and Mathematics (STEM subjects). Brazil, for example, almost doubled its investment in public education as a share of GDP, thereby catching up with the EU average. While the change in the demand, supply and distribution of education is most definitely a unique opportunity for modernising our education systems in Europe, it also poses the challenge of keeping on creating, attracting and retaining talent. We need to adapt our educational institutions to these trends. Key to quality education and training, and, hence, a highly competent workforce as well as inclusive, sustainable growth is, therefore, a renewed focus on both learners and educators. Learners need the right skills but these cannot be obtained without well trained and motivated educators. This may be one of the main challenges for us over the next decade. We will have to replenish the diminishing pool of educators, as a major cohort goes into retirement. And moreover, we will need to ensure that educators are able to make use of the newest technology in class as well as that they are equipped to cope with an increasingly diverse classroom. What are your expectations regarding the new EU agenda for education, training and youth? To what extend will this roadmap be the appropriate one to ensure the education and training systems may adapt to what you called “a tsunami in education”? XPM: ”Over the past few years, the European Commission successfully supported educational institutions in Europe to help reach the strategic goals in education. The early school leaving rate currently at 12 % is close to the 10 % target to be reached by 2020; tertiary education attainment is at 36 %, and on a good way of reaching the 40 % envisaged for 2020. The results in the employment levels of graduates are less promising, while we must still make resolute progress in the participation of adults in lifelong learning. In brief, our joint efforts need to continue. This is particularly true as the modernisation of education systems requires a systemic change in the sector. The new EU agenda for education, training and youth is, therefore, highly ambitious. The new Commission has confirmed that education and training form a very important element of the strategy for jobs and growth. This should be a key area of investment over the coming years, at EU and Member State level. Education will hence play a significant role in the main projects that the Commission has set out to implement: the Investment Package, the Digital Single Market, etc. Moreover, through policy support, and particularly through the Erasmus+ programme, we continue helping Member States to implement the reforms they have set to put in place, and to increase the mobility of learners, educators, apprentices, volunteers and young people in general. EU policies in the field of Culture, youth and sports are now part of your portfolio of responsibilities. Which relationship do you see between these fields? Is there any synergies you would like to develop between them and do you believe some good practices are transferable from one sector to another? How would you then suggest a better trans-sectorial dialogue? 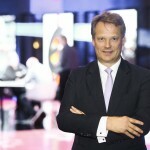 Last but not least, you have also served as Director for the European Social Fund few years ago. 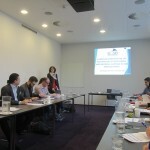 To your mind, to what extent are European tools and programmes interconnected? Do you believe we could go further? How could civil society organisations working in the fields of education, training and/or employment, make a better use of all these opportunities? What could be the role of sport in this context and which future you foresee for this specific sector? XPM: “I think that sport has an important role to play in the realm of education and training. The sort of informal learning that can be developed in the course of sporting activity is invaluable: team-work, organisation, discipline, developing leadership qualities, acting within certain rules… all of which can make an important contribution towards improving employability. We have in the past funded numerous projects in this area, also focussing on social inclusion, and they have yielded very positive results. One project focussed for example on using sport to allow prisoners to improve their skillset, their employability and help them reintegrate into society. 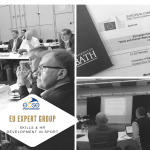 Through Erasmus+ we will be boosting our support for these kinds of projects and really making the case for the relationship between sport and the development of skills. 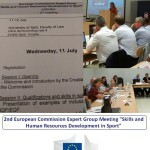 At the same time, we have set up an Expert Group on Human Resource Management in Sport. This Expert Group will be working on further developing the synergies between the fields of sport, education, training, employment and volunteering. We are, for example, focussing on the compliance of national qualifications with international qualification standards of sport federations, and also the inclusion of sport qualifications in the National and European Qualification Frameworks, to make them more readily-recognisable.